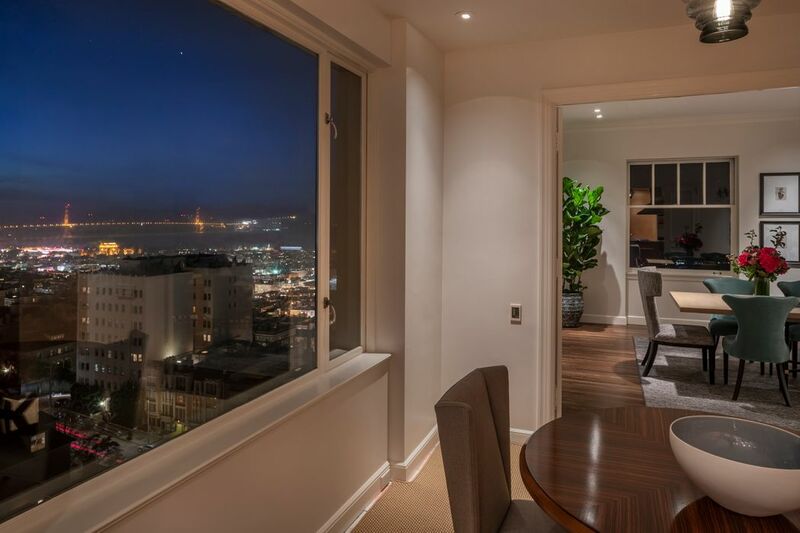 2100 Pacific Ave # 10, San Francisco, CA 94115 | Sotheby's International Realty, Inc.
$9,950,000 5 Bedrooms3 Full / 1 Partial Baths5,180 sq. ft. 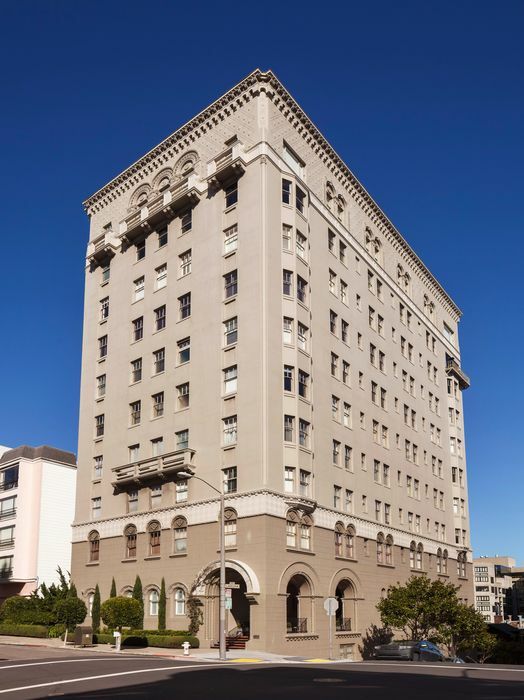 There are few San Francisco penthouse apartments that can match the pedigree, stature, and location of 2100 Pacific Avenue #10. 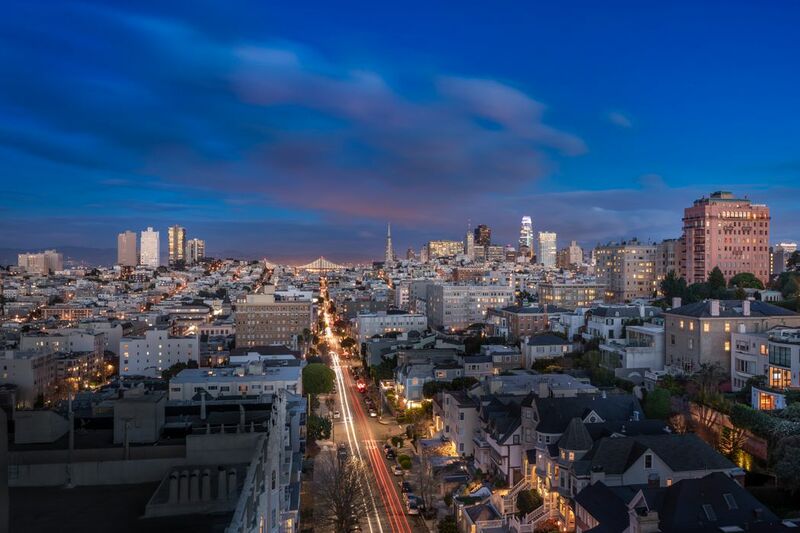 As one of only four 5,000+ square foot pre-war penthouses in San Francisco, the rarity of this property sale signals a generational opportunity for connoisseurs of fine homes. 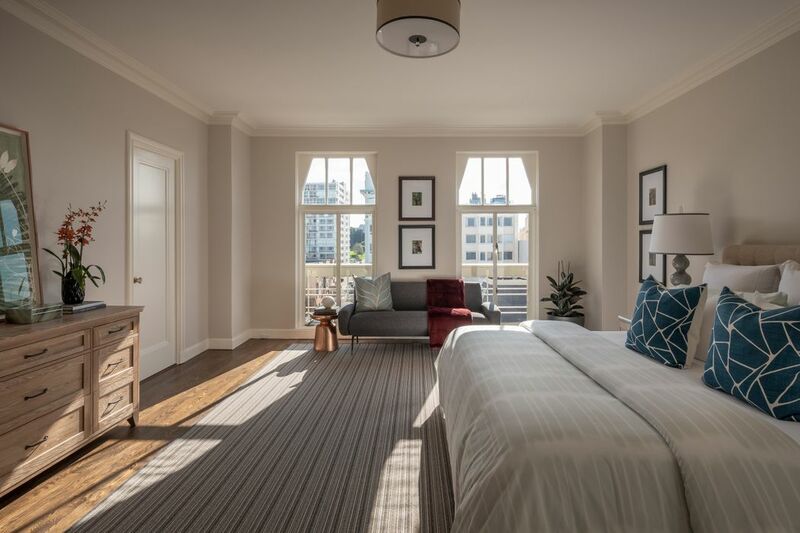 Designed by noted architect Samuel Lightner Hyman, 2100 Pacific Avenue’s refined exterior penthouse detailing and Palladian windows unite architectural elegance with the building’s commanding corner position topped by its iconic tile roof line. 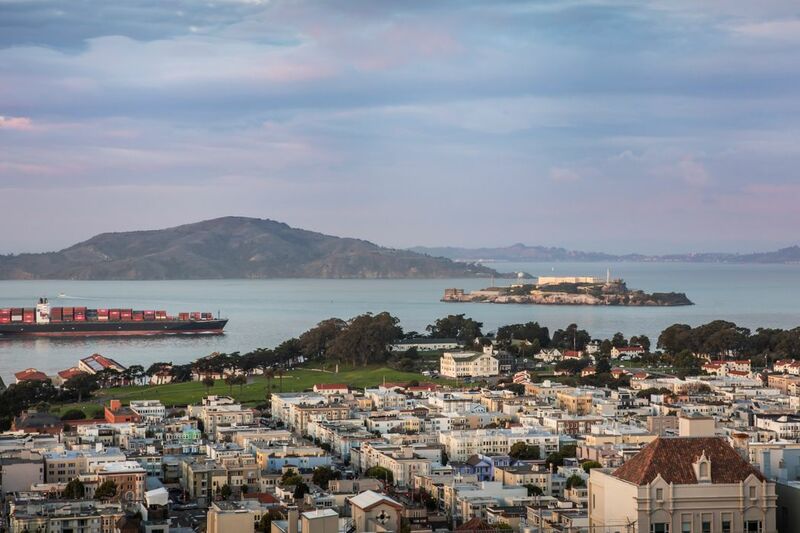 The expansive 60 foot width of the northern public rooms offers sweeping views from the Golden Gate Bridge to the East Bay hills with the Palace of Fine Arts, Belvedere Island, Alcatraz, and the Nob Hill skyline serving as visual highlights. 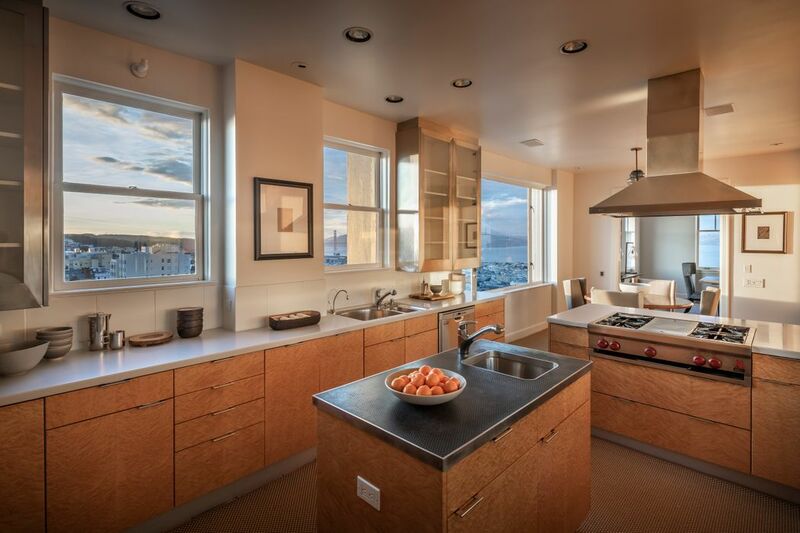 The ownership and interior design pedigree of the residence offers the market a provenance rarely seen. 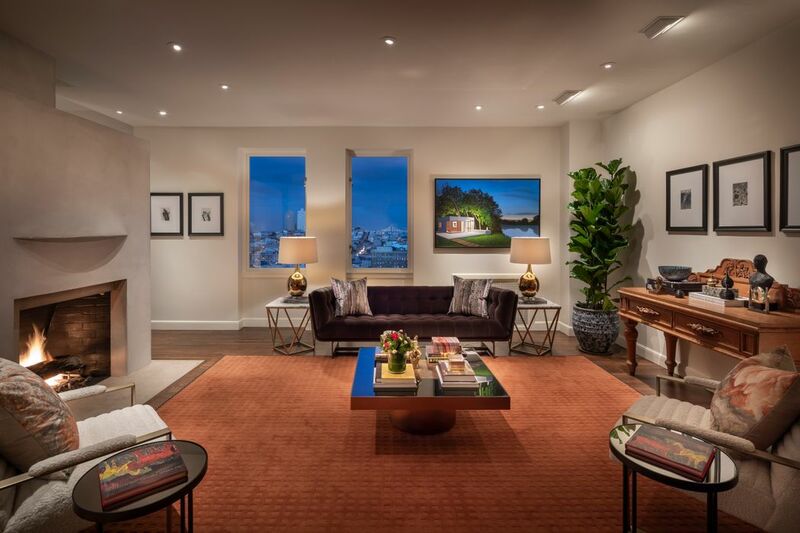 Purchased in 1949 by Walter and Elise Haas, a descendant of the Levi Strauss fortune, the couple enlisted legendary interior designer Frances Elkins to create a penthouse home for the couple’s significant art collection. 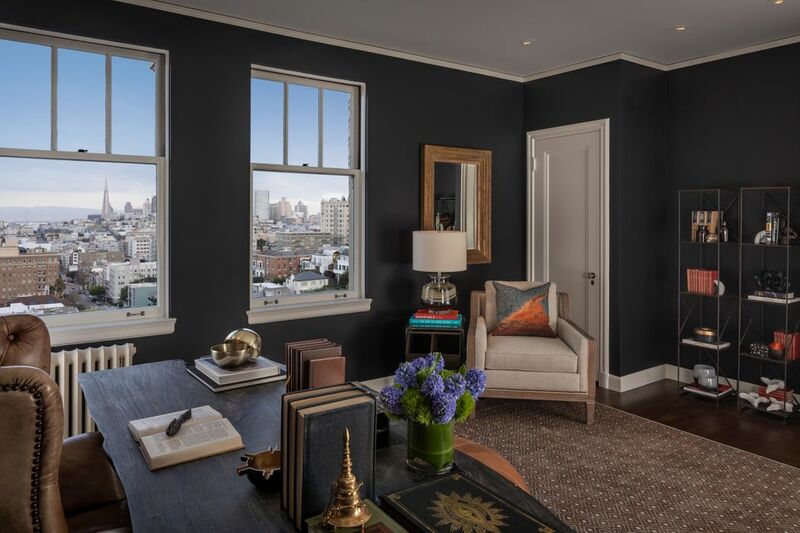 Among other paintings in the Haas’ storied collection, Matisse’s Femme au chapeau (1905) hung on the north living room wall flanked by well-balanced windows looking over the San Francisco Bay. 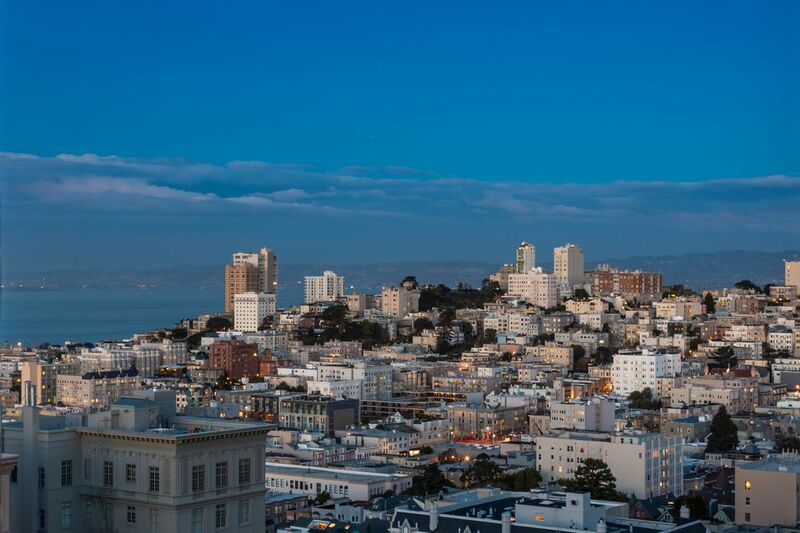 The 1990 Elise Haas bequest of the Matisse to SFMOMA, along with thirty-six other paintings, sculptures and works on paper, was an instantaneous blockbuster gift to the permanent collection. 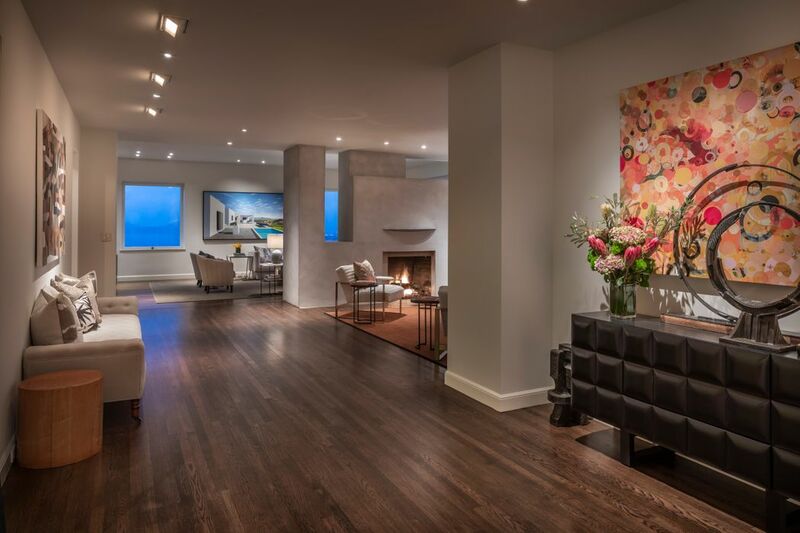 Upon the 1992 penthouse sale from the Haas estate to the current owners, a second and equally unique gallery residence was conceived by the city’s beau monde interior designer, Agnes Bourne. 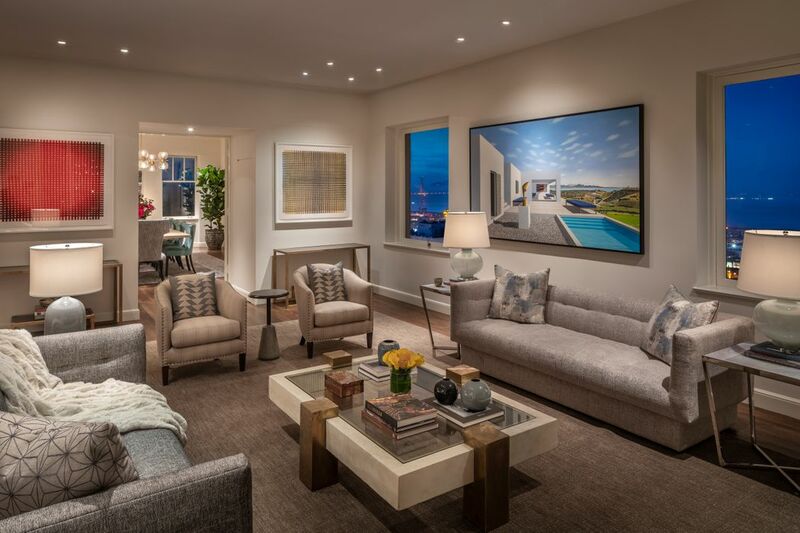 Taking a more contemporary approach by opening up the public room configuration and widening the access hallway to the south bedrooms, Ms. Bourne created a home that capitalized on the sweeping views while creating intimate gallery spaces for the owner’s to showcase their curated art collection. 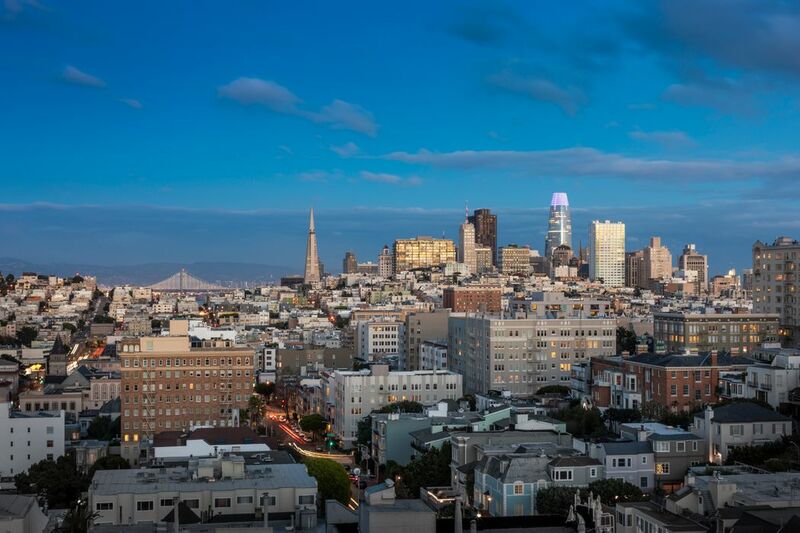 A true gallery in the sky. 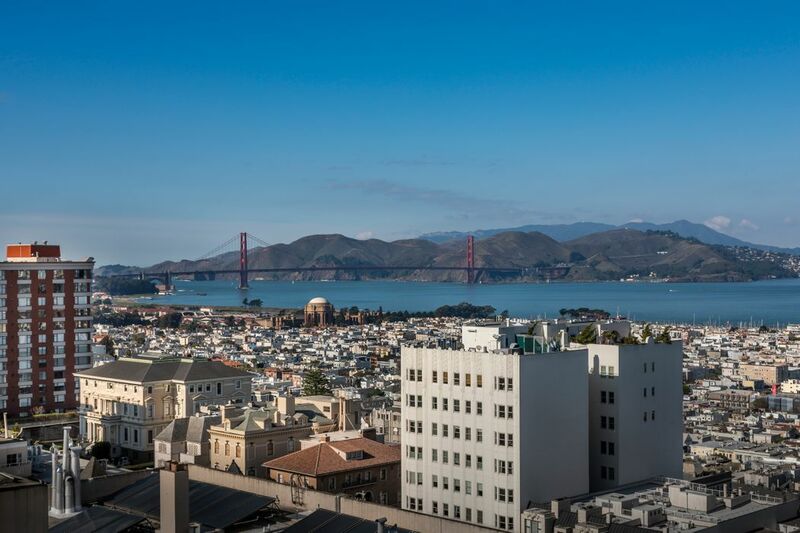 Additional amenities include doorman service daily (8am-Midnight), two car secured parking, two large storage rooms, and walking distance from Lafayette Park and Fillmore Street shopping and restaurants. 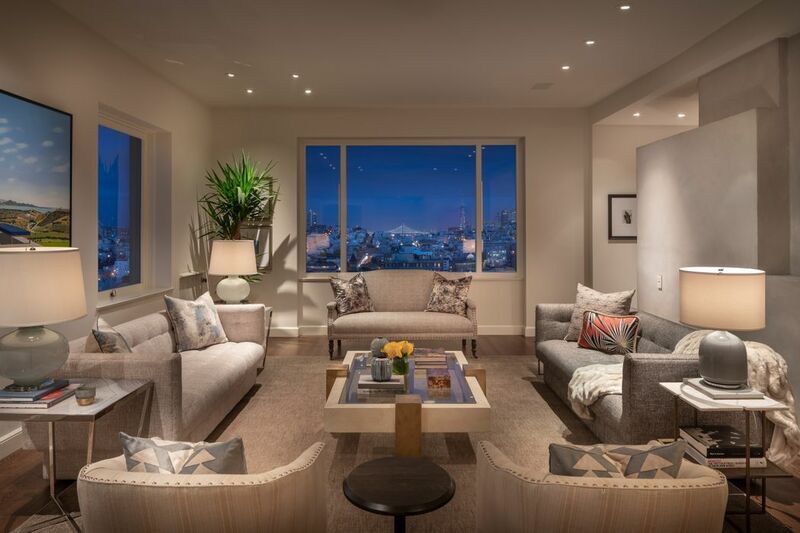 At once an engaging narrative supported by a generational opportunity, the penthouse at 2100 Pacific Avenue offers a chance to enter a historic lineage and create the next chapter in this storied San Francisco residence. 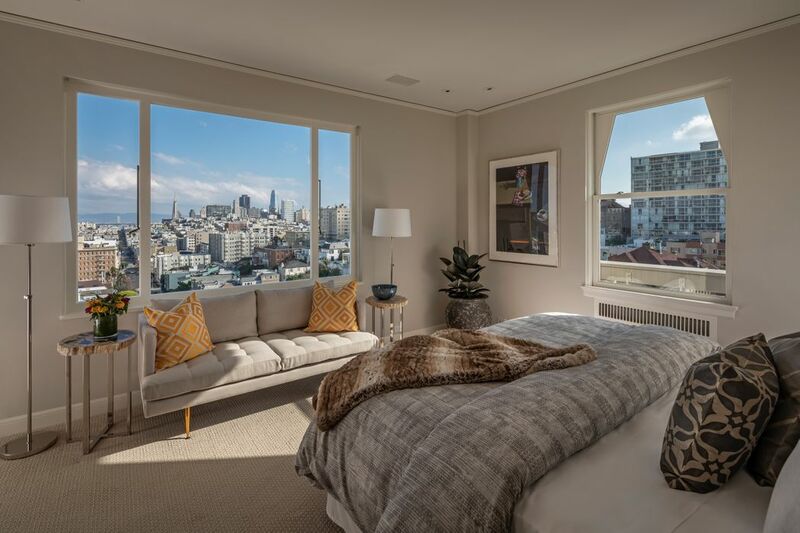 The Wall Street Journal, "A Gallery Penthouse in San Francisco"
California Home + Design, "Old School Luxury And Views In Pacific Heights, $11M"
Curbed San Francisco, "Pacific Heights Penthouse Asks $10.9M"
San Francisco Business Times, "Rare Pacific Heights Penthouse Hits Market for $10.95 Million"
Mansion Global, "Full-Floor San Francisco Penthouse Lists for $10.95 Million"
There are few San Francisco penthouse apartments that can match the pedigree, stature, and location of 2100 Pacific Avenue #10. 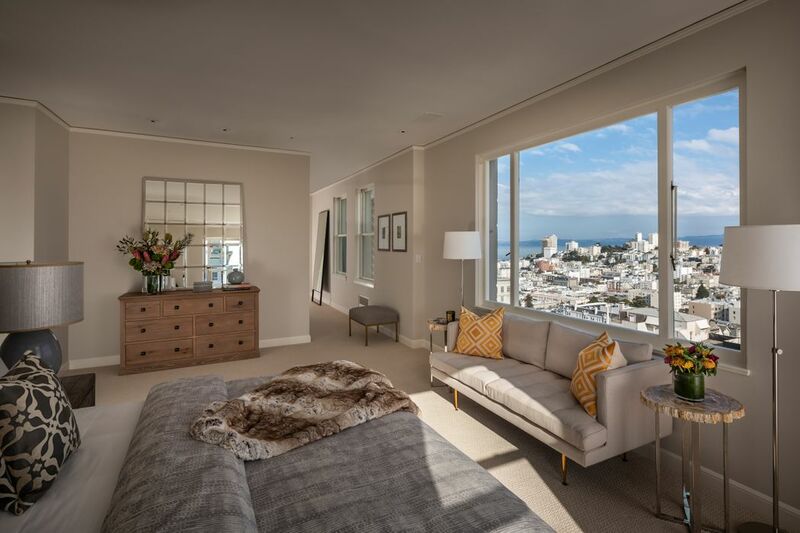 As one of only four 5,000+ square foot pre-war penthouses in San Francisco, the rarity of this property sale signals a generational opportunity for connoisseurs of fine homes. 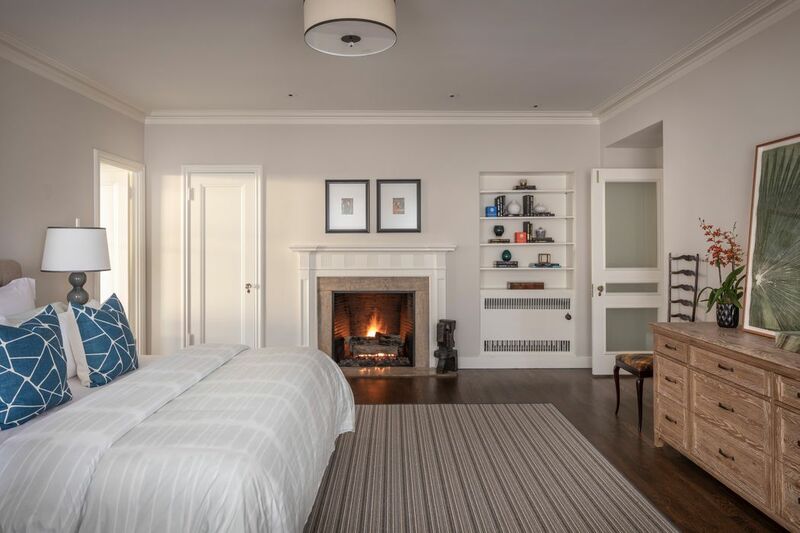 Designed by noted architect Samuel Lightner Hyman, 2100 Pacific Avenue’s refined exterior penthouse detailing and Palladian windows unite architectural elegance with the building’s commanding corner position topped by its iconic tile roof line. 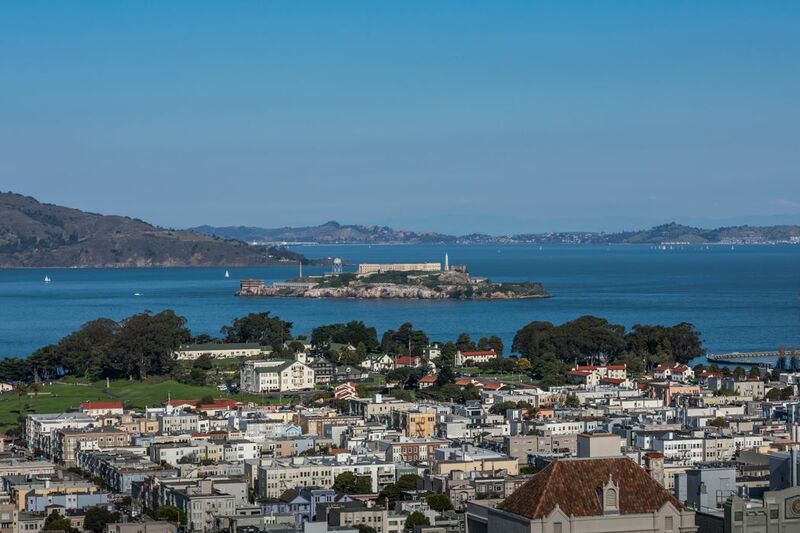 The expansive 60 foot width of the northern public rooms offers sweeping views from the Golden Gate Bridge to the East Bay hills with the Palace of Fine Arts, Belvedere Island, Alcatraz, and the Nob Hill skyline serving as visual highlights. 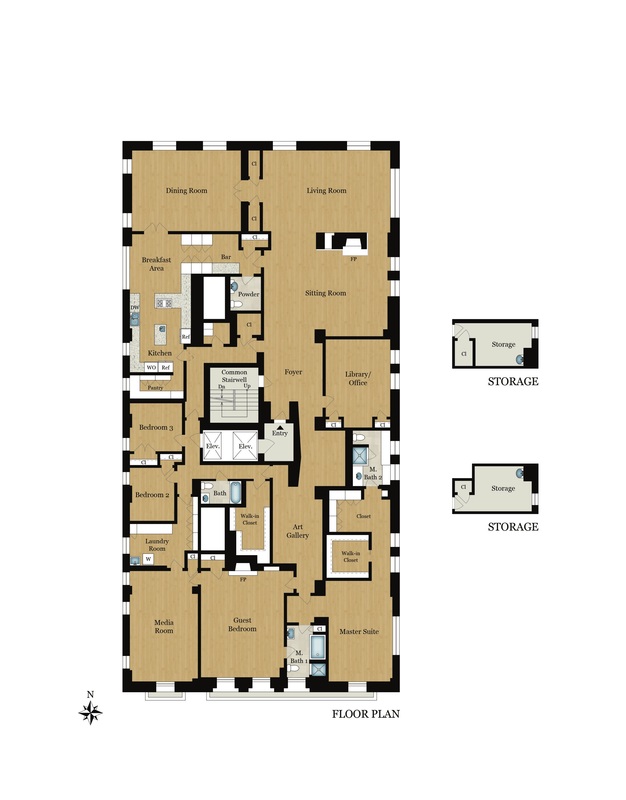 The ownership and interior design pedigree of the residence offers the market a provenance rarely seen. 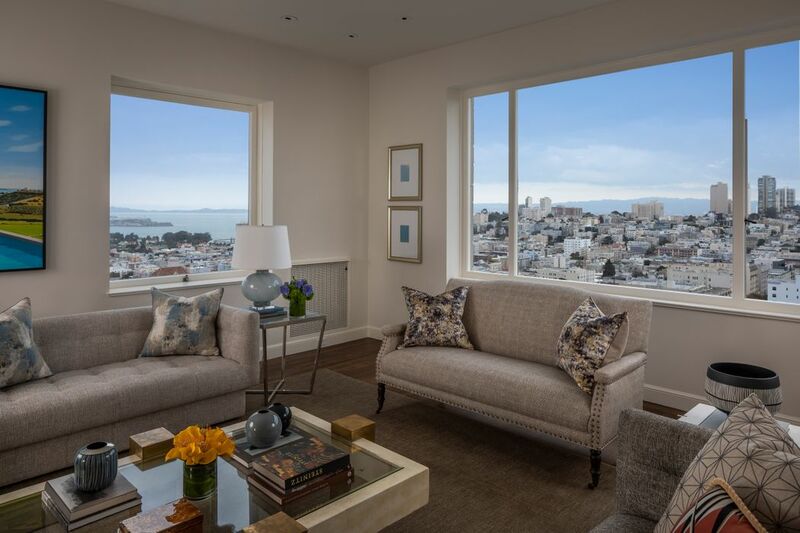 Purchased in 1949 by Walter and Elise Haas, a descendant of the Levi Strauss fortune, the couple enlisted legendary interior designer Frances Elkins to create a penthouse home for the couple’s significant art collection. Among other paintings in the Haas’ storied collection, Matisse’s Femme au chapeau (1905) hung in the apartment prior to its gift to SFMOMA. 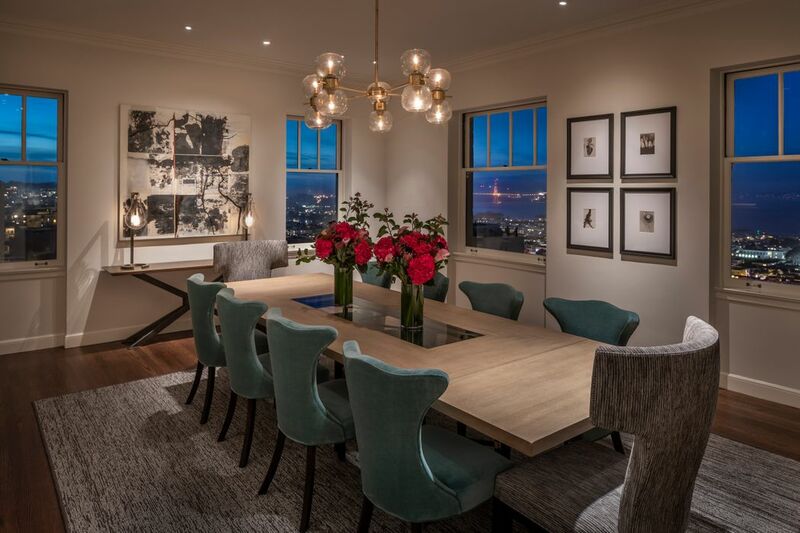 Upon the 1992 penthouse sale from the Haas estate to the current owners, a second and equally unique gallery residence was conceived by the city’s beau monde interior designer, Agnes Bourne. 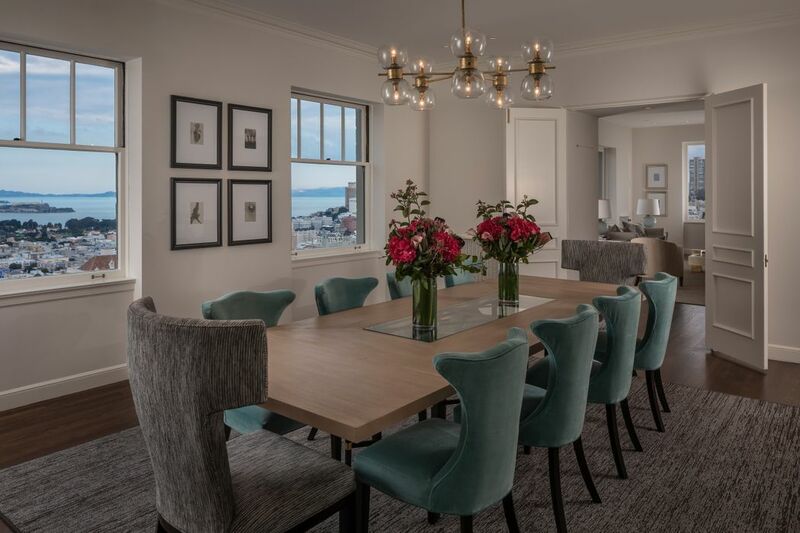 Taking a more contemporary approach by opening up the public room configuration and widening the access hallway to the south bedrooms, Ms. Bourne created a home that capitalized on the sweeping views. 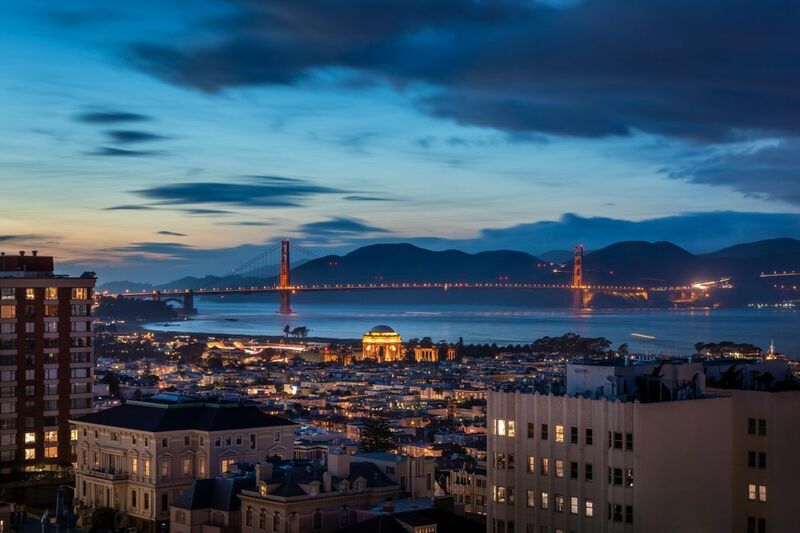 A true gallery in the sky. 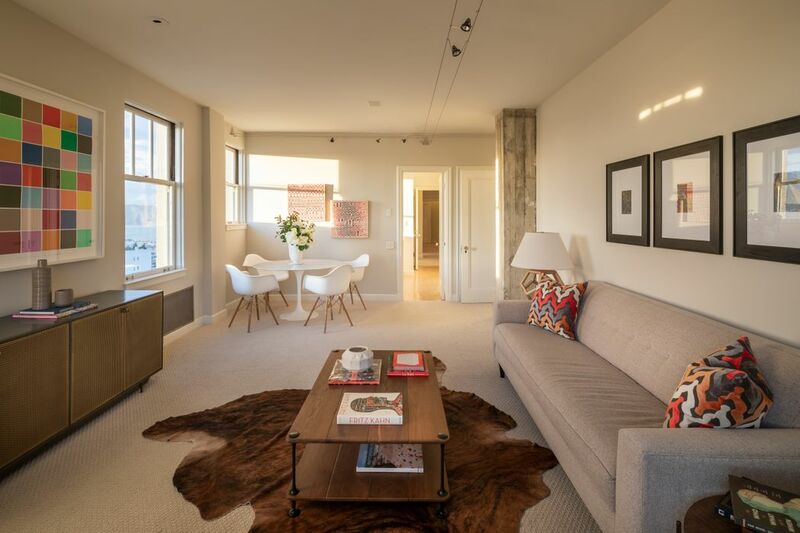 Additional amenities include doorman service daily (8am-Midnight), two car secured parking, two large storage rooms, and walking distance from Lafayette Park and Fillmore Street shopping and restaurants.